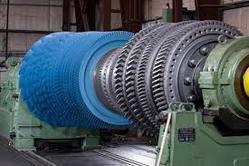 Whether it be critical rotor components affected by published OEM "end of life" limits, or turbine section subjected to extremes of operating temperatures and environment, Rushi Power can provide expert Inspection of Rotor Turbo Machinery and analyze to assess components and recommend the path forward. Available for inspections :stagewise Inspections of Tank, Pressure Vessels, Columns & Piping Spools. Available for 1 manday also. Industrial Inspection Services is having team of dedicated & experience NDE Level-III Personals, led by Mr. Rajesh Gandhi (ACCP Level-III, UT, RT, PT, MT) RWTUV NDT-3 (RT, UT, PT&MT). The ETS3107-TT is designed and engineered for the unique needs of the pharmaceutical and food manufacturing, processing and packaging industries. eSafe’s SSL Inspection protects the network from malicious code trying to enter over SSL encrypted traffic. eSafe provides full inspection of HTTPS/SSL web traffic using transparent “Trusted-Man-in-the-Middle (MitM) technology, enforces SSL usage policy, and certifies validity. RVI of large surface areas requires an industrial Pan, Tilt, and Zoom (PTZ) camera. The PTZ camera requires openings of 5-inches or more. It can also be submerged underwater up to 100-feet. The auxiliary lamp module provides extra lighting for extremely dark inspection environments. 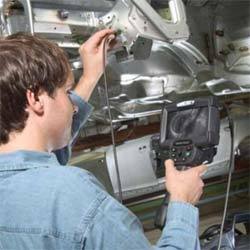 Ultrasonic testing facilities that are available in phased array are widely used for detection of internal defects in materials. These can also be used for the detection of defects in welding material. - Visual/ Dimensional Check with Rating. - Assembly Check (if any). We offer an economic, reliable, safe solutions for inspecting your infrastructure. Our experienced drone operators take care of your asset. All product lines on our inventory list must satisfy our rigorous quality assurance procedures. As a part of our ongoing Supplier Quality Auditing all incoming raw material and finished goods are systematically inspected to establish the sampling plans. Inspections for Oil & Gas, Power and Construction Companies We empower large industrial companies and job sites to optimize their resources, improve their productivity, and ensure safety by offering comprehensive drone solutions.